Sample brews from more than a dozen breweries from Vermont and beyond, including Ten Bends Beer, Zero Gravity Craft Brewery, Goodwater Brewery and Frost Beer Works, along with sips from local meaderies, cidermakers and distilleries. Live jams by Rumblecat, Seth Yacovone Blues Trio and Pace Car Joe keep the mood light as visitors fill up on smoked meats, gourmet grilled cheeses, wood-fired pizzas and more from a full roster of foodie vendors. 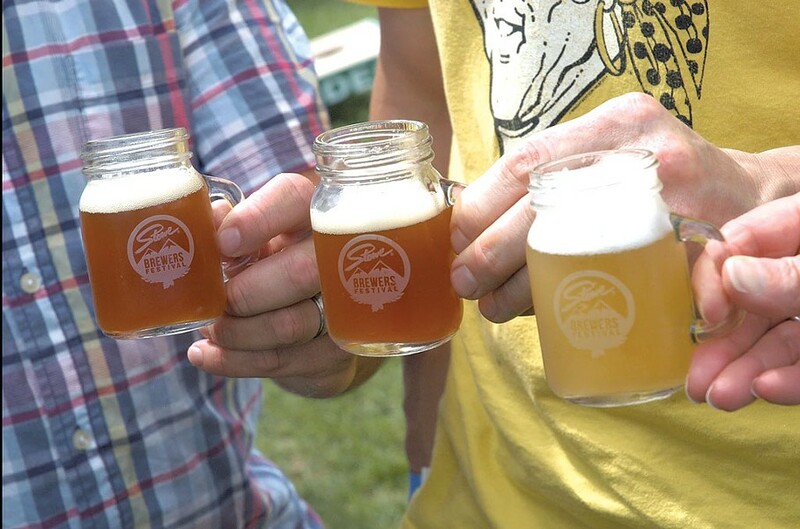 Stowe Brewers Festival: Friday, July 28, 5:30-9:30 p.m., and Saturday, July 29, noon-4 p.m. & 5:30-9:30 p.m., 80 Weeks Hill Rd., Stowe, $39-45. Info, stowebrewersfestival.com. Maple Wind Farm Dinner: Tour the property with farmers Bruce Hennessey and Beth Whiting, then sit down for a dinner of deep-fried deviled eggs, roast leg of pork with cheddar grits and summer salad, courtesy of chef Ethan Chamberlain. Thursday, July 27, 6:30-8:30 p.m., Maple Wind Farm, Richmond. $38; reservations required. Info, 262-1222. Music While You Pick: Busy your hands picking blueberries while your feet keep time to songs from the Decoys. Tuesday, August 1, 5-8 p.m., Owl's Head Blueberry Farm, Richmond. Cost of blueberries: $6 per quart; two-quart minimum. Info, 434-3387. V Smiley Pop-up Brunch: Celebrate Sunday Fun-day with black currant cake, ham and herbs, braised lamb with poached eggs, and homemade sheep's-milk yogurt with verbena-scented peaches. Sunday, July 30, 10 a.m.-2:30 p.m., Blossom Whole Food Kitchen and Catering, Winooski. Cost of food and drink. Info, 497-3494.